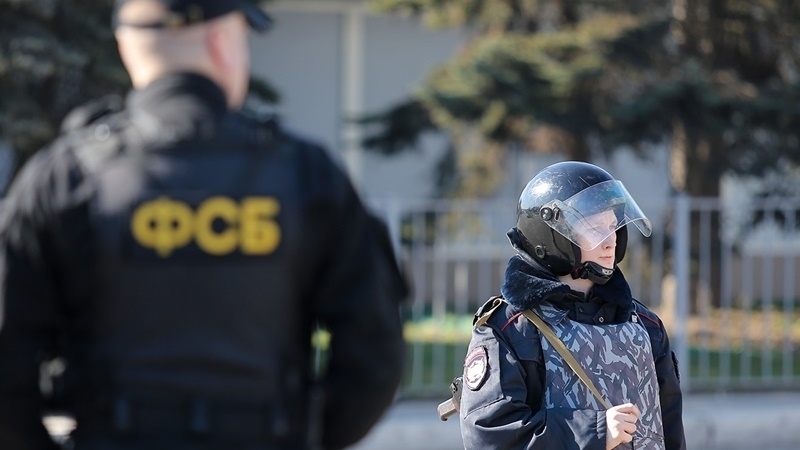 Security forces in the occupied Crimea after the searches in Alupka detained the Crimean Tatar woman Nadzhie Kaidanova and took her to the Kremlin-controlled FSB department, the public association Crimean Solidarity reported on Facebook. According to Crimean Solidarity, the spouse of the detained woman went along with her. Father of Nadzhie Kaidanova also went to the FSB department. At the time of the woman's detention, young children were in the house. During the search, the security officers seized all equipment in the house. “During the search, all equipment was seized, including Nadzhie Kaidanova's phone and her mother’s phone as well. The family of the detained woman and the family of the parents live in the same yard, in the households adjacent to each other." According to preliminary data, the house of the family was already searched in 2016, as a result of which the security officers seized the tablet and phones. Earlier, QHA reported that Russian security officials detained a Crimean Tatar woman after searches in the city of Stary Krym on June 18. Lawyer Mammet Mambetov noted on Facebook that it was the second case in a week in the occupied Crimea, when women are being arrested. According to preliminary information, the law enforcers allegedly found a correspondence of detained with their spouse who is on the mainland of Ukraine.